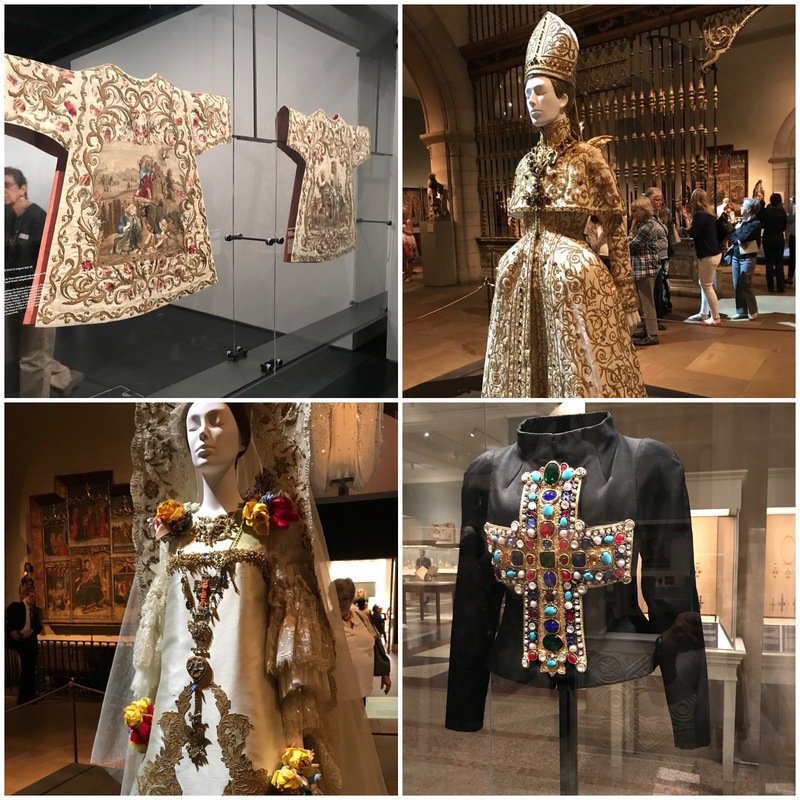 You neither have to be religious nor Catholic to enjoy the exhibit “Heavenly Bodies: Fashion and the Catholic Imagination,” (now through Oct. 8.) at the Metropolitan Museum of Art in New York. You just have to love fashion and art! Fashion and the Catholic church intertwine in this expansive exhibit. “Heavenly Bodies” features the fashions of many well-known designers who were raised Catholic, but are not necessarily religious. Some of the designers include: Dior, Lacroix, Lagerfeld, Galliano, Givenchy and Saint Laurent. All the designs were influenced by the church. There is one room devoted to garments on loan from the Vatican. The vestment, top left, is from the Vatican, while top right is by John Galliano. Both designs in the bottom half are by Christian Lacroix. It’s a brilliant mix of fashion. In fact it’s quite enchanting and heavenly.